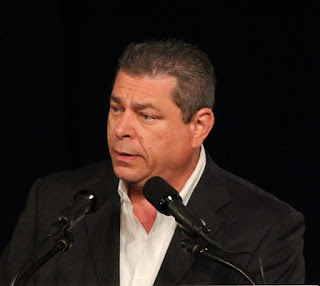 Sexual assault and harassment allegations against California Democratic Party Chair Eric Bauman have now been detailed by the LA Times and corroborated by contemporaneous witnesses. I believe and stand with the survivors. Mr. Bauman must promptly resign his chairmanship, despite his commitment to take a leave of absence and seek treatment for alcohol use. The CDP must lead in making our party safe for activists, delegates, officials and employees but this cannot be accomplished without condemning this behavior and removing those that engage in it. I will work diligently as a member of the Executive Board of the CDP to ensure that the Party pursues a process that protects survivors and removes Mr. Bauman from office at the earliest opportunity. In the coming weeks, we must also ensure that Mr. Bauman's behavior was not ignored, covered up, or accommodated by anyone that remains in the Party. There must be accountability not only for Mr. Bauman but also for our institution in harboring an environment wherein survivors were afraid to come forward and were silenced when they did. If the LA Times story is correct, his gig is up. If he is fired, he can still qualify for Medi-Cal, free medical, free dental, food stamps, Section 8 housing, free cell phone, discounted utilities, free internet, free college tuition, and a senior discount at Denny's!